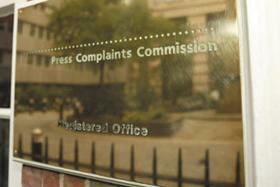 Proposals by the head of the Press Complaints Commission (PCC) to replace the body with a new regulator were condemned by Labour in the Commons. Shadow culture secretary Harriet Harman said Lord Hunt’s plans would result in “business as usual” which “simply will not be acceptable”. The deputy Labour leader said any new regulator must be independent of newspaper editors. The industry’s self-regulator will close this year and Lord Hunt has promised its replacement will be an independent body “with teeth”. But Harman and Labour MP Chris Bryant, a leading campaigner against phone hacking, dismissed his arguments. He asked Vaizey to “make it absolutely clear that the only thing that the Government is interested in is what Leveson comes up with, not some shoddy deal struck by the editors”. Lord Justice Leveson has indicated he will not simply accept proposals by the PCC for reforming the system of newspaper regulation without subjecting them to “forensic scrutiny”. Labour MP John Cryer (Leyton and Wanstead) called on the Government to tell the inquiry the PCC’s replacement should be “politically independent and independent of what used to be Fleet Street”. Vaizey, who told MPs earlier that Lord Justice Leveson had asked Culture Secretary Jeremy Hunt to give evidence on the relationship between the press and politicians, said ministers wanted a self-regulatory body which was “independent of the press and independent of Government”. He added that the department was “working constructively” with the inquiry over the release of background information.